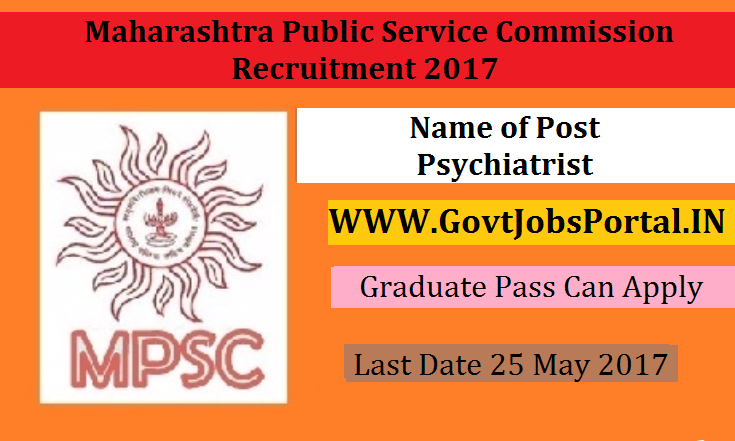 Public Service Commission is going to recruit fresher candidates in India for Psychiatrist Posts. So, those candidates who are willing to work with this organization they May apply for this post. Last Date of Apply 25-May-2017. Total numbers of vacancies are 20 Posts. Only those candidates are eligible who have passed M.B.B.S. degree of a statutory University or any other qualification specified in the First Schedule or Second Scheduled to the Indian Medical Council Act.1956; and 4.7.2 M.D. (Psychiatry) or M.D. (Medicine) with D.P.M. or post graduate Diploma in Psychological Medicine(D.P.M.) or a qualification accepted as equivalent by the Medical Council of India. Indian citizen having age in between 20 to 38 years can apply for this Public Service Commission Recruitment 2017. Educational Criteria: Only those candidates are eligible who have passed M.B.B.S. degree of a statutory University or any other qualification specified in the First Schedule or Second Scheduled to the Indian Medical Council Act.1956; and 4.7.2 M.D. (Psychiatry) or M.D. (Medicine) with D.P.M. or post graduate Diploma in Psychological Medicine(D.P.M.) or a qualification accepted as equivalent by the Medical Council of India.